Investigative team on the ground at Pujehun Police Division on 24 January 2019, listening to the ordeals of the affected community members. Ph: Grain. 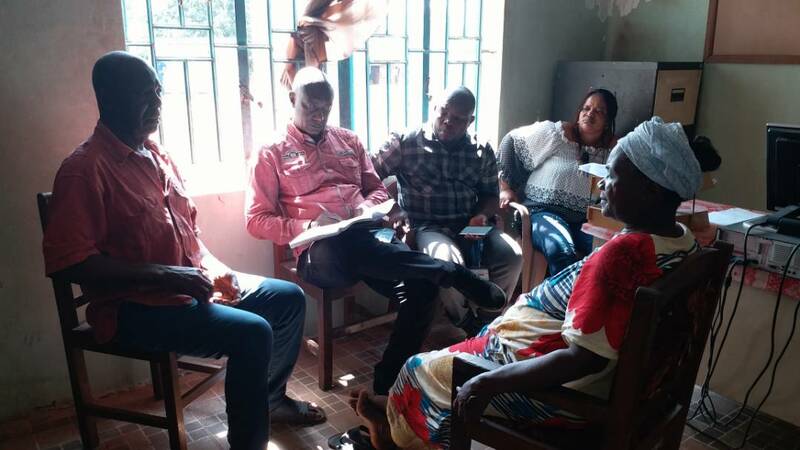 These grave events occur as communities affected by the land conflict in Malen saw a possible solution following the election promises made by the new President Maada Bio to resolve the conflict and the Government’s dialogue efforts in recent months. Indeed, as soon as SOCFIN arrived in the chiefdom in 2011 and following the land agreement on more than two-thirds of the land (18,473 ha) that will be converted by the company into a palm oil monoculture, affecting 52 villages, the communities have constantly denounced the human rights violations and abuses suffered: lack of consultation with landowners prior to the land deal, lack of transparency, corruption, extremely poor working conditions on the SOCFIN plantation, impact on the right to adequate food, the destruction of the livelihood and environmental negative impact. These last few months have renewed the communities’ hope of finding a solution but also the tensions, especially regarding working conditions that are not improving and that do not allow the affected families to provide for their needs with dignity. This is why the workers went on strike several times, in July and October 2018. It was following the last strike initiated last Friday, January 18th, that tensions escalated to the level mentioned.